Our driver/guides are amongst the best Stonehenge experts in Britain. If you are looking for inner circle access, why not charter one of our luxury vehicles to collect you from your accommodation. How Stonehenge Special Access works. visitor access to Stonehenge. All special access slots, be they booked through agents, tour operators or directly are allocated by English Heritage. It is not possible to have special access to Stonehenge during normal opening hours and such visits have to me made either very early in the morning or in the early evening. English Heritage for very good reasons place tough restrictions on the maximum number of people that can use the special access during any slot and this number is 26 people (beware of travelling on a large coach group, as you may find that the hour that you have paid for is split into 2 X 30 minute slots). A Slot lasts for 1 hour and unless you have booked your own guide, there will be no guiding provided by English Heritage and you cannot use the regular audio guides that are available during the regular access times. For more information on booking special access slots visit the English Heritage website. After you have found your slot, all you need to then is organise your transportation and tour guide and this is where we can really help. 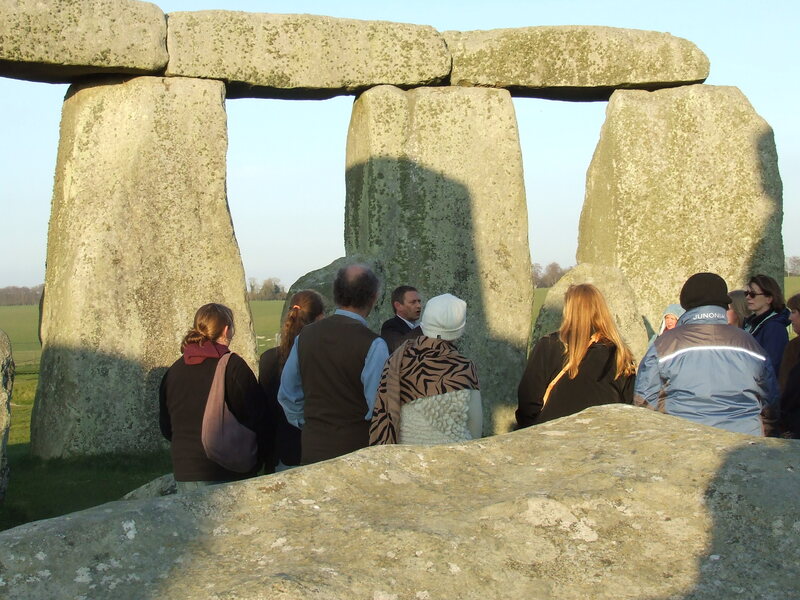 We employ the very best driver guides available, who are considered to be experts on Stonehenge and the wider area. This means we can offer you a full tour covering Stonehenge and other places (such as Salisbury, Avebury or Bath). This means you can make the most of your day out rather than just having 30 minutes or an hour at Stonehenge. When booking your Stonehenge special access with English Heritage, please remember to book 1 additional place for your driver/guide so that we can help unfold the mystery! Neeless to say we are happy to make arrangements for you.